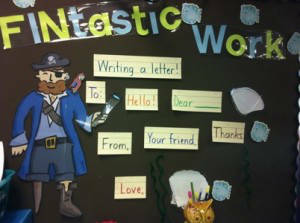 Adding some pizzaz to your Pirate Classroom! Do you have a Pirate themed room? You can use this FREEBIE to print your students name on a diamond and add them into a giant treasure chest! Head over to my TPT site to access the FREE downloadable document!